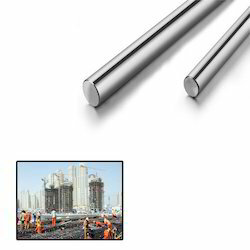 Manufacturer & Supplier of Linear Shaft for Construction Industry. Our product range also comprises of Ball Screws, Linear Motion Guideway and Precision Engineering Component. Innovation is our forte and we are engaged in manufacturing and supplying Linear Shaft for Construction Industry. Demanded in construction industry, we offer this shaft in different technical specifications to meet the demands of esteemed customers. Moreover, we can fulfill the bulk demands of customers efficiently, owing to our modern production unit. Looking for Linear Shaft for Construction Industry ?